Original costume worn by "Pinocchio", played by Eion Bailey in the fantasy drama television series "Once Upon a Time" (2011–2018). 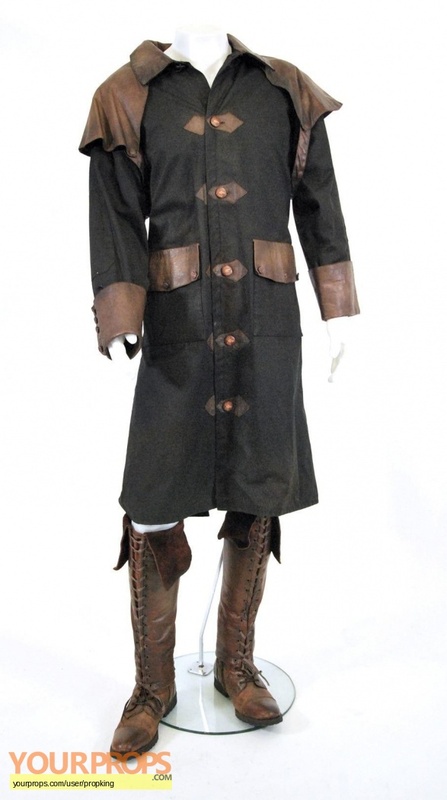 Hero costume worn in multiple episodes which includes a Pinocchio inspired collection. Includes a black/brown floor length outback jacket with elk head buttons down the front, a pair of brown leather zipper spats and a pair of Aldo's brown leather boots. view all 384 items of "propking"
** The content of this listing is the sole responsibility of propking. Yourprops.com, its owners, agents and assigns assume no liability.